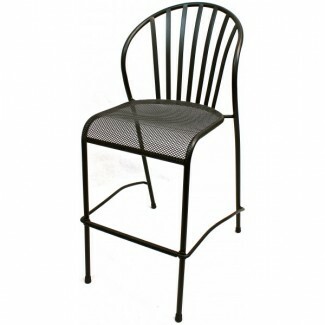 The Cylo Bar Stool has a classic design that utilizes durable steel slats with a curved lumbar design. This gives extra support when sitting in the chair. The Cylo Bar Stool is also stackable for ease of storage. This piece in our Bistro Seating Collection is In Stock, with a lead time of 1.5 - 2.5 weeks from the time your order is processed.